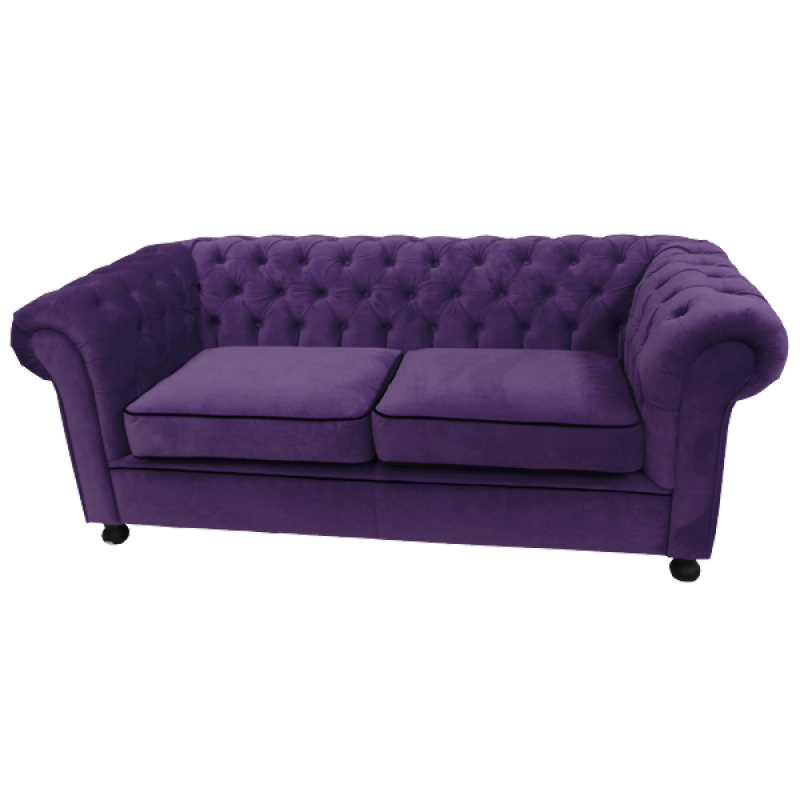 The Chesterfield sofa is an instantly recognisable design classic, and our Chesterfield style sofa is inspired by the original. 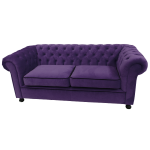 This 3 seat sofa has been bought right up to date with gorgeous bright purple velvet fabric, creating a real wow factor at events. 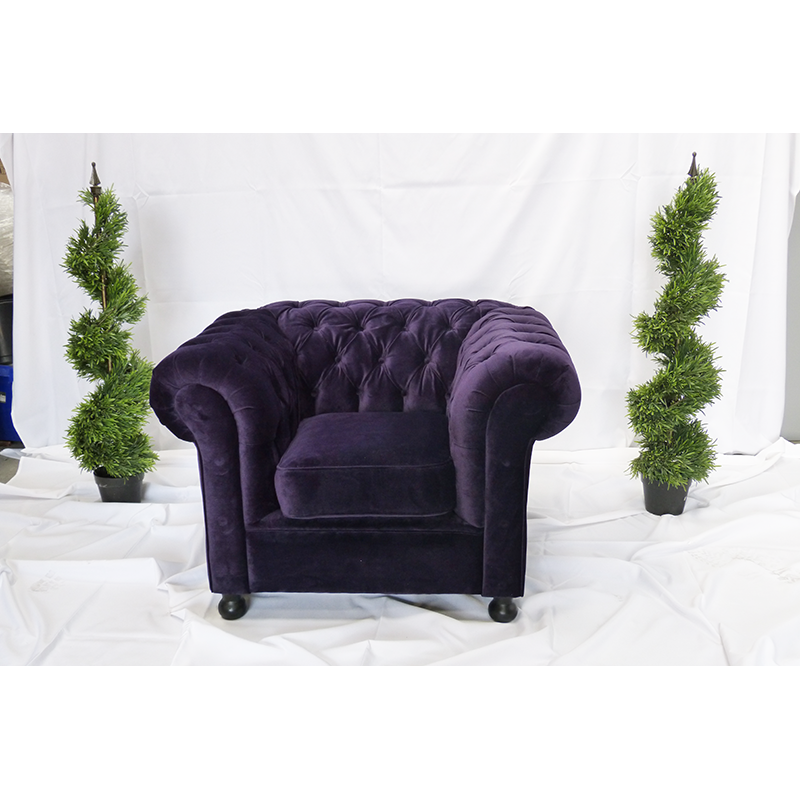 It's comfy too, so it not only looks great, but you can seat event guests in absolute comfort. 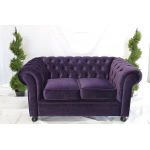 Our 3 seat Chesterfield style sofa features button detailing to the arms and the back and looks fantastic when paired with the 2 seat version of the sofa, our Chesterfield style armchair and our new Chesterfield inspired wingback chairs. 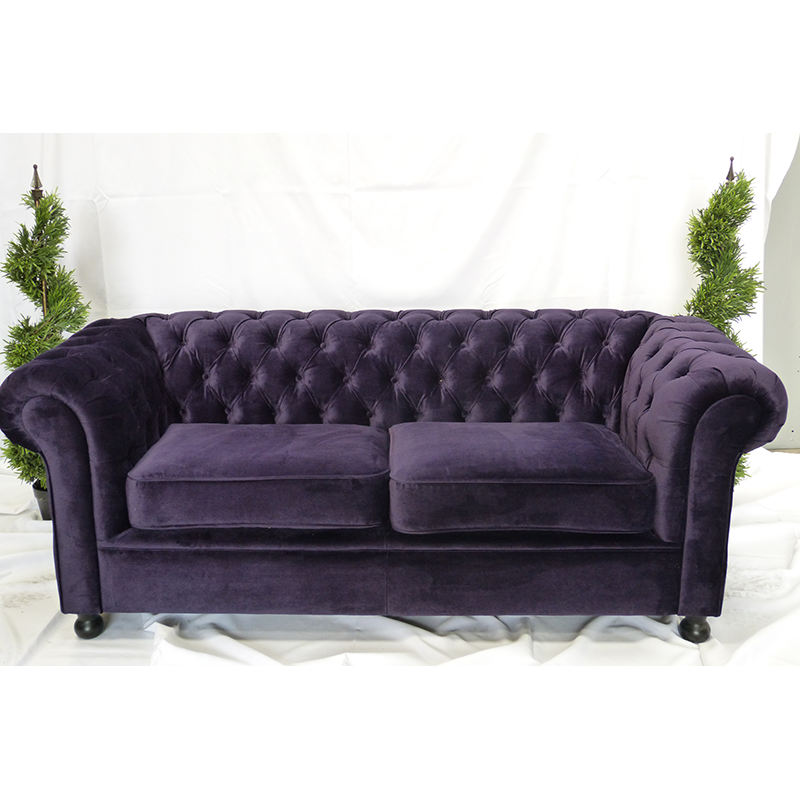 Complete the look by pairing with one of our coffee tables.